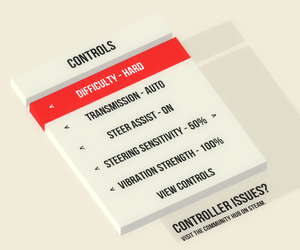 It's possible to apply into Beta #3, which has engine updated from Unity 4 to Unity 5 and better input manager, rewired, for far better controller support and compatibility. 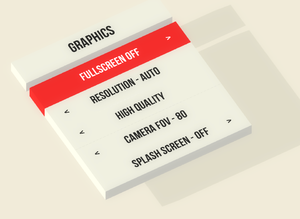 Unity launcher accessed by holding ⇧ Shift when launching game. Ranges from 50 to 80 with steps of 2°. For more, see Field of view (FOV). Most of 3D elements are textureless. 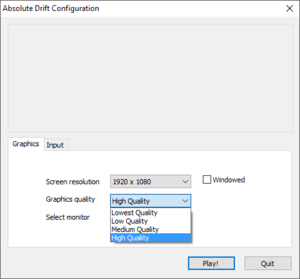 Only graphical quality presets can be selected. There is no separate options. Setting a value of 15 translates to 80° FOV, 16 translates to 82° FOV, etc. Set the value in Decimal mode and click OK. Keyboard keys and controller buttons. The mouse is never used. XInput and DirectInput. Designed for XInput, with other controllers, use Update #3 Beta. Really low amount of speech. Use -vrmode DEVICE parameter. Some missing elements, e.g. pause menu. See Helix Mod: Absolute Drift. 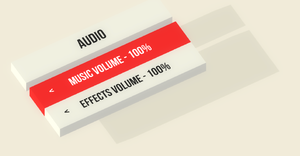 Rewired As of December 24, 2015, Update #3 Beta only. A 64-bit operating system is required with Linux version. "The Beta version of the game has a new input system which has support for the Rumblepad. 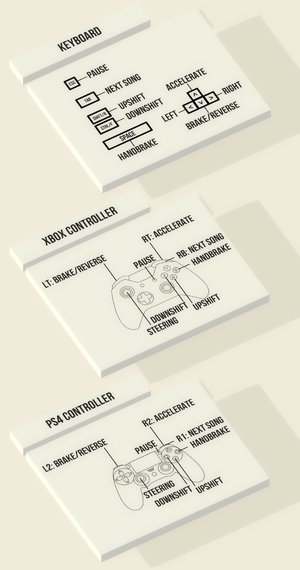 (http://guavaman.com/projects/rewired/docs/SupportedControllers.html)"